Charter - Website of fewfoundation! Federally Employed Women’s (FEW) Foundation for Education and Training, is once again partnering with Grantham University. We are proud to announce a new and exciting career enhancing opportunity for FEW members, their spouses, and dependent children. Grantham University is offering three (3) scholarships for their on-line certificate program of choice. To name a few, certificates are offered in cyber security, business leadership, human resources, and project management. A complete listing of certificate programs is available at www.grantham.edu. If a certificate is not offered in your chosen career field, you may elect to receive a $5,000 scholarship to pursue other on-line courses towards your degree. Both programs include books and resource fees. Recognizing that everyone can’t be a scholarship recipient, Grantham continues to offer members of Federally Employed Women a discounted rate of $250 per credit hour for FEW members, their spouse, and dependents. The 2019 scholarship application period is opens April 1 and closes May 31, 2019. For more information, please visit https://www.grantham.edu/scholarships/federally-employed-women-few-scholarship/ or call Grantham University at 888-477-6830. 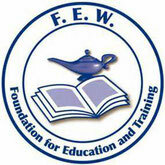 You may also access www.fewfoundation.org for a full announcement of the scholarship and application instructions.